More in Sanity: Is Change Good? You'll notice when this happens, though, that there have to be a LOT of dissatisfied people. The Conservatives are much more cohesive, and can retain power even when 1/3, even 1/4 of the people want to keep things the same. Why is this so? Why is it that those who want change can't seem to stick together long enough to take control and make those changes? Today, an overwhelming majority of people believe change must come. Between the corruption of politicians, corporations, and news agencies, a country which produces more than any other country in history is going broke and in danger of a civil war. The United States created nearly 15 TRILLION dollars of wealth in 2010. That's $15 million million! ($15,000,000,000,000) Can you imagine how much money that is? That's enough to give every man, woman, and child on Earth $2000, and still have a trillion left over to give to me as a birthday present so I can buy a couple of Switzerlands. How is it conceivable that we could possibly be broke? It's not, of course, unless you've got a bunch of leeches stealing whatever they can. And so, change is coming. 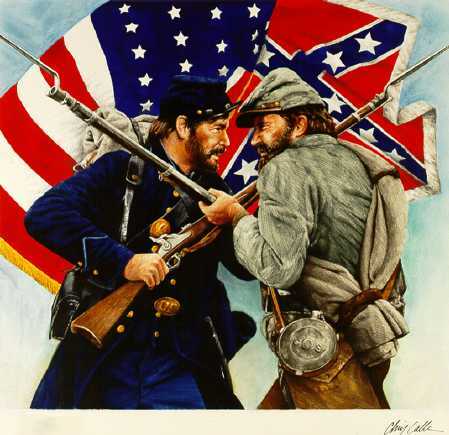 But even though this has been building for several years - I recall when I was in grade school studying the Civil War, I saw a quote from someone who said the next civil war wouldn't be between the states and the federal government - no useful changes have happened before now. In fact, the Conservatives have only cemented their power further with impressive con jobs on the American people, which I won't go into right now. Why has this gone on so long? Because, although the vast majority of Americans want change, they can't decide which change to make. Even when a question has only two possible choices, there are still a lot of questions and choices to make. Which issue is most important to you? There are so many to choose from, and tons of distracting questions asked of us. 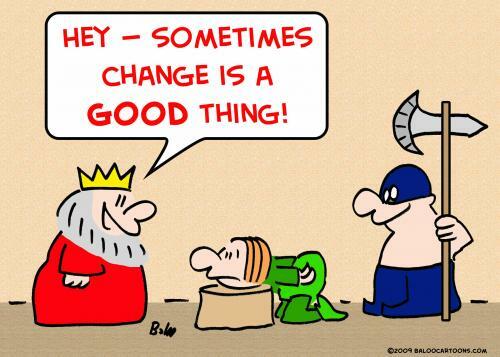 Change is coming, that's for sure.Those in power may have created a lot of anti-protester weapons, and that may put down some of the complaining, but as they continue to take more and more from us, we have less and less to lose. I think we all know what happens to someone when they have nothing left to lose. The road we took to get here was a crafty one, well-disguised and full of distractions to keep us from noticing we're not in the shallow end of the pool any more and being expected to keep an anvil above water, but people are starting to wake up, and the media disinformation campaign against the brave souls lining Wall Street is faltering under the continuing barrage of real journalists who do NOT bow to the dollar. I pray justice will be done for those brave enough to stand up for what's right, and that it will be done to those who have tried so vigorously to rob us of our future. To do that, we have to have something to agree on. Something to unite behind. Simply "Take back our country" isn't good enough. We need the problem defined and a specific goal. THAT is something we can unite behind. THAT is what we can use to take the country back from those who have stolen it from We The People.